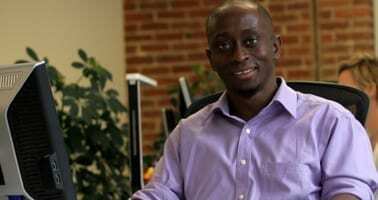 Kelly Adighije joined Baumann Consulting as a Senior Mechanical Engineer in 2012. He serves as a key component in multi-disciplinary design teams and specializes in the commissioning of large-scale international projects. Kelly is a member of the LEED Technical Advisory Group for Energy & Atmosphere and contributes to topics such as Commissioning, Energy Efficiency and Energy Modeling. His expertise with the use of energy simulation software includes eQuest and IES. Prior to joining the Baumann team, Kelly earned international project experience working for Arup and BDSP Partnership in London and PZM Engineering in Zürich, Switzerland. He developed skills and expertise in providing mechanical and sustainability services for the planning, design and construction of buildings through project work in the U.K., U.S., Switzerland, Algeria, and the Middle East. Kelly attended the University of Sheffield in England, where he earned his Master of Mechanical Engineering in 2004. In 2009, Kelly was recognized as a Chartered Mechanical Engineer by the Institution of Mechanical Engineers in the U.K., the equivalent of the Professional Engineer designation in the U.S. I spend my leisure days reading the latest Wilbur Smith novels about African tribal historical events or enjoying the present day drama of the English Premier league, NFL, NHL, MLS or the NBA – in fact any sport that involves a ball.